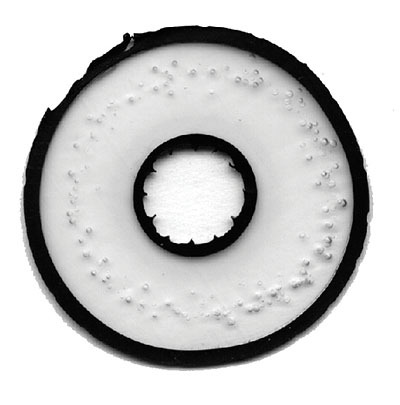 This XLPE triple-extruded high-voltage power cable has been poorly crosslinked results in many voids, which would lead to partial discharges and breakdown. This was one of the first AC measurements of space charge - the colours indicate the charge density, the horizontal axis shows time and the vertical axis the position in the sample. This advanced pulsed electro-acoustic system for space charge measurement was developed as part of a European project involving six companies and six universities. An understanding of charge generation, recombination, polarisation and movement is vital for developing new HVDC cable systems. This was prepared for a book chapter on nano-dielectrics. X2 capacitors are designed to fail safe. Despite suffering a power surge due to a lightning strike, this capacitor did not short-circuit and may have protected the equipment from danger. This cell was especially designed for dielectric spectroscopy of epoxy resins, whose properties are highly dependent on humidity. Dielectric spectroscopy is very sensitive to small changes in such materials. This shows the electrodes from a metallised film capactior that have been exceptionally badly corroded due to electro-chemical corrosion - the result of water ingress. This was work in preparation for an expert witness case. This work on nanofilled XLPE for HVDC cable use set out to evaluate the long-term behaviour of the material. The high voltage lab at the University of Leicester was set up by John Fothergill - the photograph shows a 400kV DC set. This SEM image shows microvoids occurring as a consequence of water trees in XLPE cable. The work was done with STC. These were some of the first observation of "space charge packets" in XLPE as part of work in a European project with several cable companies. The movie shows observations over about a day with the electric field in the cable in red reaching almost 200kV/mm, which is clearly undesirable! 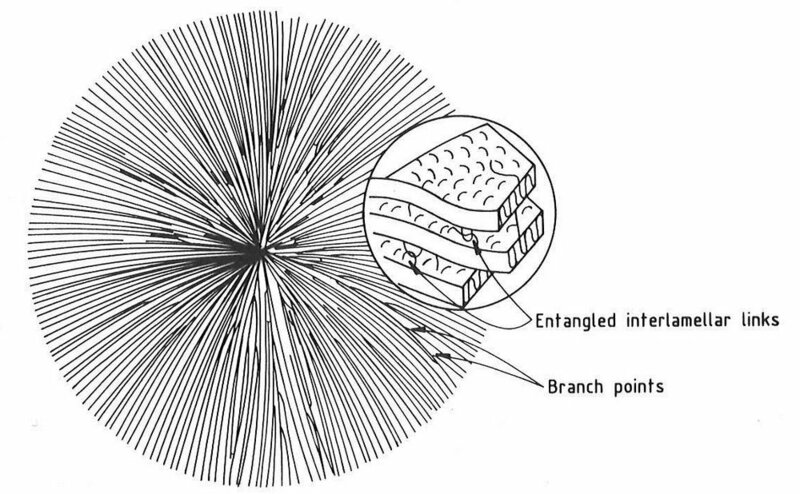 Electrical trees are a serious degradation mechanism likely to lead to imminent failure of electrical insulation (courtesy Steve Dodd). Water trees have been found in electrical power cables in humid and wet environments. They weaken the insulation and can lead to electrical trees and failure. These were found in XLPE cables in work for STL. 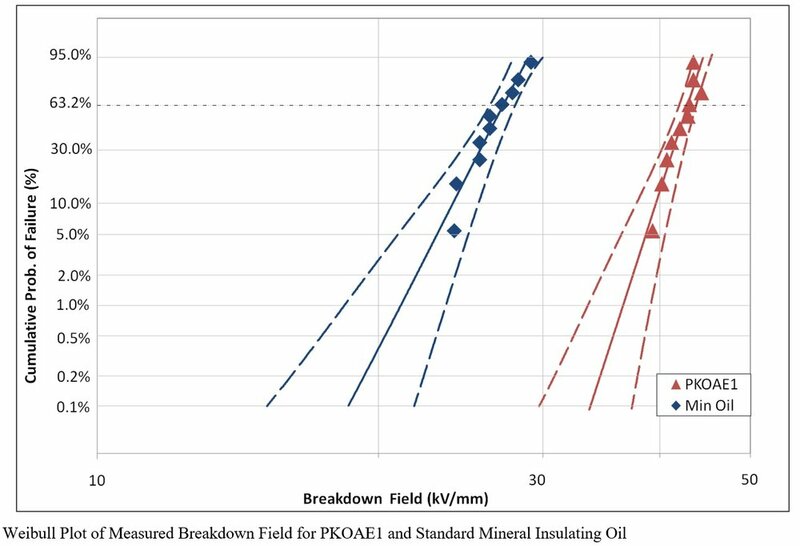 This work, supported by National Grid, developed and characterised a Natural Ester Oil, which proved to have a good breakdown performance compared with mineral oil. 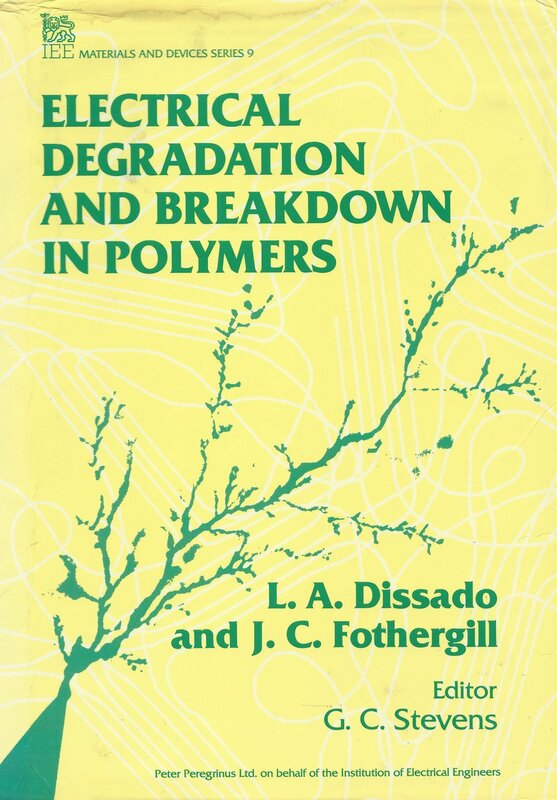 Electrical Degradation and Breakdown in Polymers by Len Dissado and John Fothergill has become a seminal text for scientists and engineers working in electrical insulation.